What is at the root of the problem of humanity? Is it pride or lack of self-esteem? Do we love ourselves too much or too little? The debate about the human condition has often been framed this way in both theological and psychological circles. Convictions about preaching, teaching, marriage and child rearing, as well as politics, social welfare, business management and the helping professions, more often than not, fall on one side or the other of this divide. With theological and psychological insight Terry D. Cooper provides trenchant analysis of this centuries-long debate and leads us beyond the usual impasse. Humanistic psychology has often regarded traditional Christianity as its archrival in assessing the human condition. Cooper demonstrates how the Christian doctrine of a sinful and fallen humanity sheds light on the human condition which exhibits both pride and self-denigration. Bringing theological insights ranging from Augustine and John Calvin to Reinhold Niebuhr together with the psychological theories of Freud, Jung, Carl Rogers, Gerald May and Karen Horney, Cooper guides readers through the maze of competing claims to a resolution which affirms Christian conviction while critically engaging modern psychological theory. A model of the proper integration of Christian theology and the discipline of psychology, Sin, Pride Self-Acceptance will be of special help to students and practitioners of psychology, pastoral counseling and clinical psychology. 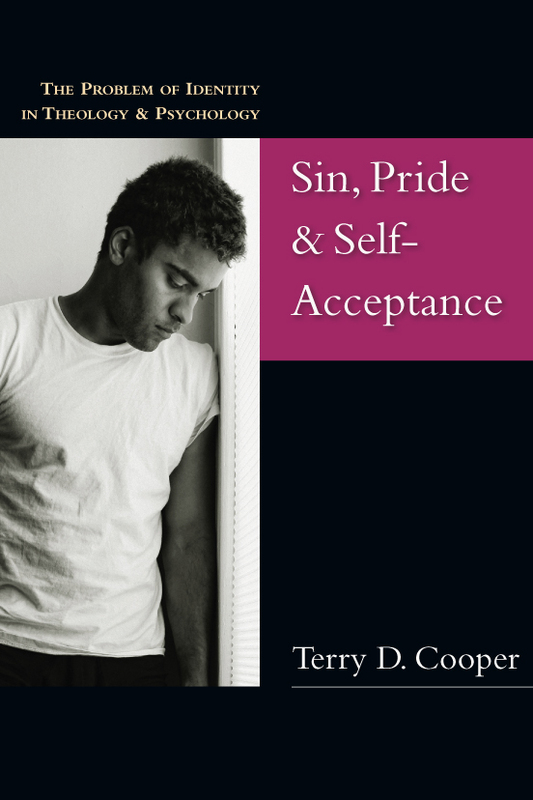 "In Sin, Pride and Self-Acceptance, Terry Cooper has managed to provide a lively and fully Christian view of human nature and its limitations that avoids sounding both overly simplistic as well as too academic. He intentionally tills the middle ground between self-love and self-hatred that has often typified theological discourse among evangelicals, and in doing so unearths a view of the self that resonates both with the biblical tradition and with modern psychology. Well researched and clearly written, this book will challenge readers to think deeply about their own self-understanding as part of the spiritual task of knowing and abiding in God." "Citing relevant theological and psychological literature Sin, Pride and Self-Acceptance,is an example of integration at its best and should prove to be useful reading in a variety of courses at the Christian college and seminary level. At the same time the book is very practical and offers insight to any Christian confused by the current simplistic and contradictory arguments for either pride or self-contempt as the underlying problem of modern persons. As an unexpected plus, the book adds to an understanding of male-female differences in regards to sin and spirituality." "This is a book of uncommon depth. 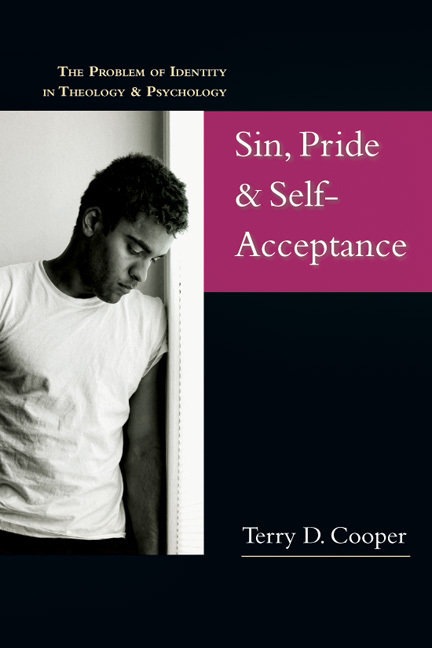 Terry Cooper demonstrates admirable insight into the human condition, drawing upon both theology and psychology in ways that can only enhance our understanding of pride and self-acceptance. Cooper reminds us that pride and low self-esteem can be two sides of the same coin, and in so doing, he offers us a theologically and psychologically informed account of some of the key facets of what it means to be human. " "This book gives vital new life to the conversation between psychology and theology. It is a brilliant analysis of the relation of sin and pride, useful to the classroom but relevant as well to pastors and clinicians." But Is Pride the Problem for Everyone? Pride and Self-Loss: Socialized to Sin Differently? Pride and Low Self-Esteem Intertwined? 6. Pride and Self-Hate: Two Sides of the Same Coin? Pride and Sensuality: A Confusion of Terms? Terry D. Cooper (EdD, human development counseling, Vanderbilt University; PhD, theology and psychotherapy, St. Louis University) is professor of psychology at St. Louis Community College--Meramec and adjunct professor of religious studies at Webster University. He is the author of Sin, Pride & Self-Acceptance.